Mosquitoes are very dangerous insects. They cause some of the killer diseases in the world. The most affected part of the world is Africa. When living in a mosquito-infested area, it is advisable that you look for ways of preventing the mosquito bites. Regardless of their size, most people have succumbed to their diseases. Know more about the mosquito-transmitted disease below. Chikungunya disease is a very dangerous infection that is caused by the chikungunya virus. This disease causes fever to the infected persons. The prevalence rate of this disease depends on the control of the mosquitoes in a particular region. There is a possibility of eradicating the infections. Many governments are working on making sure that this disease is eradicated totally. The symptoms of the diseases do not show immediately after the infection. It will take a maximum of twelve days before the symptoms become visible. The twelve days are the incubation period of the virus. The expected symptoms are high fever, joint pains and rashes. Headache, digestive problems and general body weakness can accompany the main symptoms. 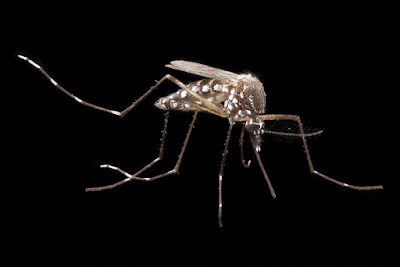 Human beings acquire the infection of this virus through the mosquitoes. The mosquitoes mainly feed on human blood. Through their feeding process, they end up causing the infection to the bodies of their victims. Mosquitoes live in areas that have stagnant water. Areas that have poor drainage end up having more cases of this disease. Transmission from mother to child during birth is minimal. The mosquitoes act as the mechanism by which the virus is introduced in the body. The mosquito breaks the skin of an individual and the virus gets access to the blood stream. The pathogens of the human body lack the ability to resist these viruses. This makes the body vulnerable to the infection. After the infection, the viruses begin to replicate in the body. When you discover that you have the symptoms of this disease, it is essential that you visit a health centre. The diagnosis process will enable the medical professionals to determine if the chikungunya virus is the cause of the symptoms. The professional can also try to find out if the victim has travelled to an area infested with mosquitoes. Proper diagnosis will precede the treatment process. The researchers are still looking for a better treatment plan for this disease. What the medical specialists offer the infected victims is supportive care. The medical experts only give drugs that will ease the joint pains and reduce the fever. However, immunotherapy has proven to be effective in trying to treat this disease. Most doctors have embraced the use of passive immunotherapy. The researchers have not managed to make a vaccine that is effective in empowering the body to repel this virus. This has caused the prevention of the virus to focus on eradicating the breeding of the mosquitoes. Prevention of mosquito bites will be effective. This is possible by ensuring people sleep under a mosquito net. Draining stagnant water is also very effective. Also read: Home Remedies for chikungunya. Elimination of stagnant water at home, schools and work place to avoid breeding of mosquitoes. Using insect repellents over the exposed parts of the body. Using mosquito screens or nets in non - Air-conditioned rooms. No vaccine or specific antiviral treatment for chikungunya fever is available. Treatment is symptomatic--rest, fluids, and ibuprofen, naproxen, acetaminophen, or paracetamol may relieve symptoms of fever and aching. Aspirin should be avoided.